Lift your spirit and feel alive! The refreshing scent of Australian Wild Mint will awaken and energise. 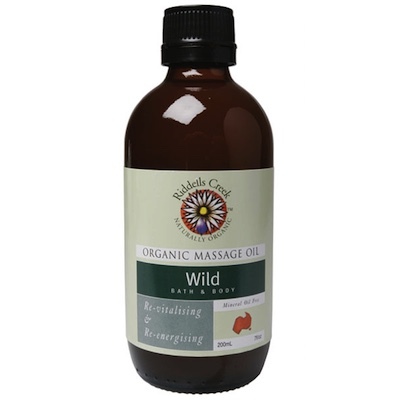 Wild Body Oil is also a great body freshener or a treat for happy feet in a foot spa! Organic Safflower Oil, Biodynamic Macadamia Oil, Sweet Almond Oil, Biodynamic Avocado Oil, Jojoba Oil, Wheatgerm Oil, Sunflower Oil, Rosemary Extract, Essential Oils of Cypress, Juniper, Lavender, Lemongrass, Patchouli, Peppermint.